Descendants of Joseph Schrag and Maria Neuhauser: Join our Facebook Group! This is the meeting place for all descendants of Joseph Schrag and Maria Neuhauser through their five immigrant children: Johannes, Peter, Andrew, Magdalena (Smith), and Barbara (Belsley). 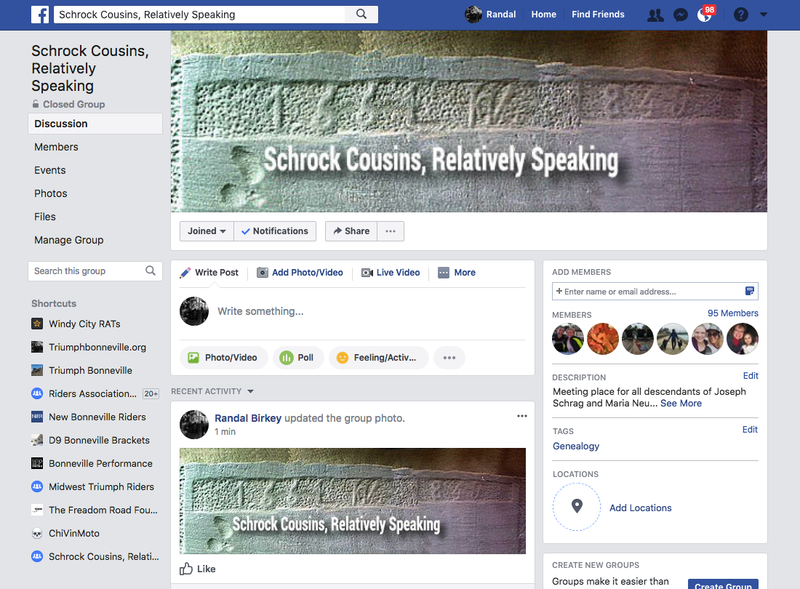 Also welcoming cousins interested in Schrock history back to our roots in Wynigen, Switzerland. If you are interested in joining this group, please use the "Join Group" button on the Facebook group page, answer a simple question and submit your request. We will respond as quickly as possible. © 2019 The Schrock-Birkey Connection | All Rights Reserved - Images and content may not be copied without permission.